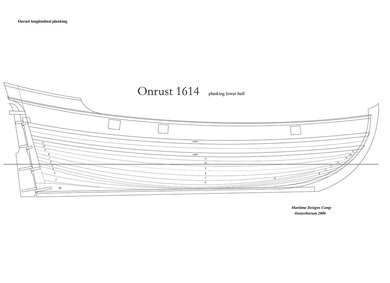 A special project: Building "Onrust"
Howard Mittleman was lead builder for the first two seasons of the construction of the replica Dutch sloop Onrust (Restless). 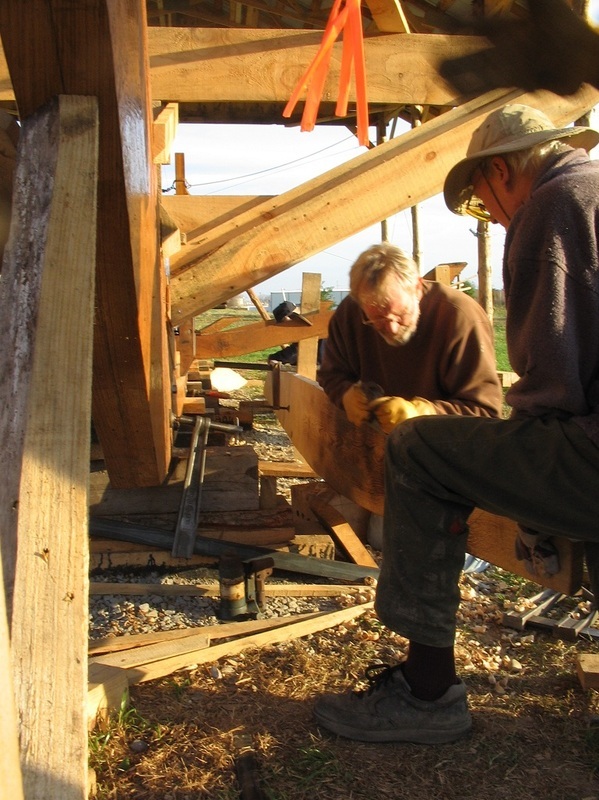 Working under the direction of master shipwright/designer/historian Gerald Deweerdt, Director of the Maritime Museum of the Terschelling in the Netherlands, he directed and taught the all-volunteer crew from laying of the keel, planking up to the waterline, to shaping and installing sawn frames know as futtocks. 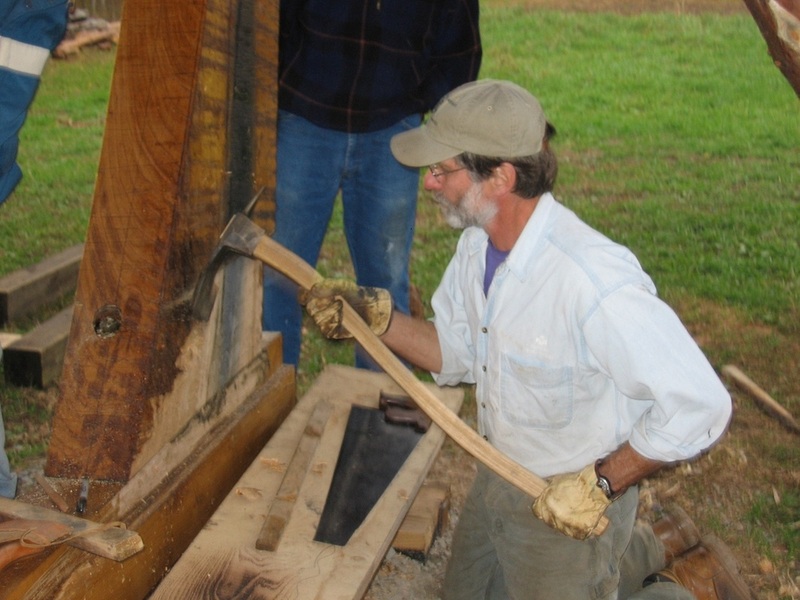 Though we used power tools as well as authentic hand tools, all the work and material was authentic to early 17th century methods - fire bent planks, trunnel fastenings, wrought iron rivets. 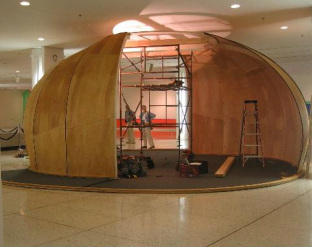 Portable theater space, dubbed the "Double Nautilus Dome"
Built of 28 "planks" of 1/4 inch plywood on a frame of laminated plywood, the Dome housed an interactive multi-media presentation, "Bubbles", designed to promote the soon to be built (and now completed) EMPAC theater at RPI. 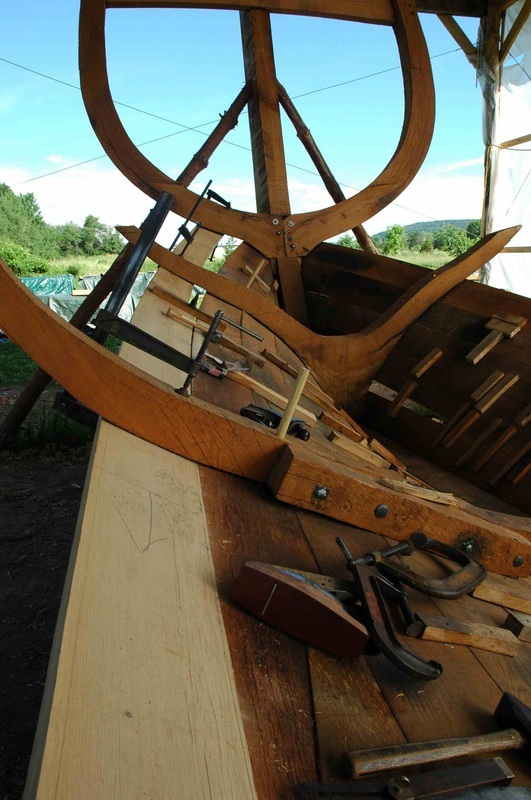 While in business in Albany NY as North River Boatworks, we built dozens of light lapstrake boats like this Rushton, the Saint Lawrence River Skiff or the North River Skiff, an original design by Howard Mittleman. 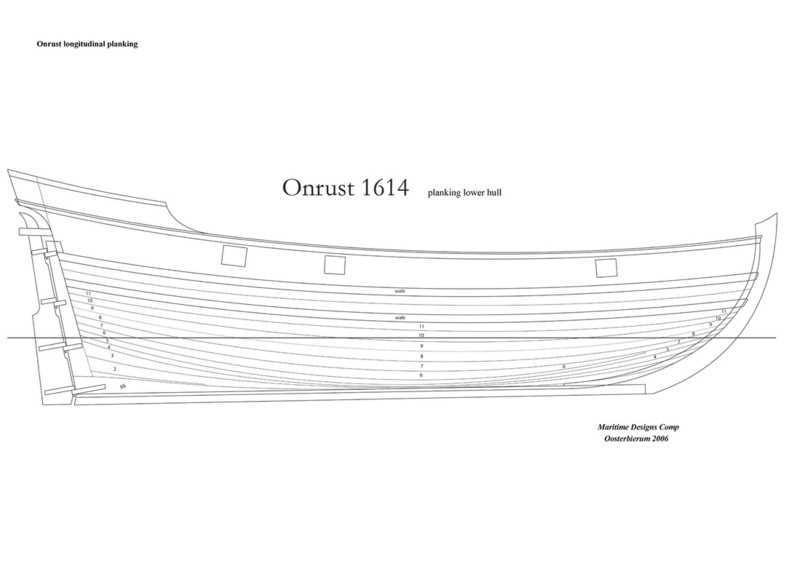 Our Swampscot Dory meets the neighbors sailing dinghy on Helderberg Lake, NY.